The beautiful penguin Princess Penko has succumbed to the deadly virus sweeping the Kingdom of the Penguins! The only possible cure is the fruit of the Golden Apple Tree – located in a faraway land. Long ago, the penguins used to live in this distant land. They still refer to it as Continent of Dreams. But many years ago they were driven out of their homeland by the penguins’ arch foes, the Freezauruses, horrid giant flying carnivorous lizards. The Freezauruses still retain control of Continent of Dreams. Make the long, dangerous journey to the land of Golden Apple Tree! 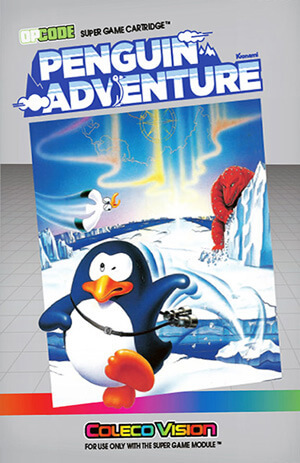 Save the lovely Princess Penko, and return the Kingdom of the Penguins to its former glory! !